This week’s episode theme is “Finding the Secret”. I’m not going to give away what that means, but perhaps you’ll be able to figure it out after watching? Most of you guys know the drill by now, but just in case this is your first time watching, here’s the deal. Just leave a question that you want answered in the comment section below, and we will do our best to answer it on the next episode. We’ve already received 100+ comments on the video’s YouTube page, meaning there’s going to be a lot of questions to choose from, so make it a good one! Got a question. What happen when you got to cydia and then refresh. My shows red stuff like﻿ error what’s does that mean? 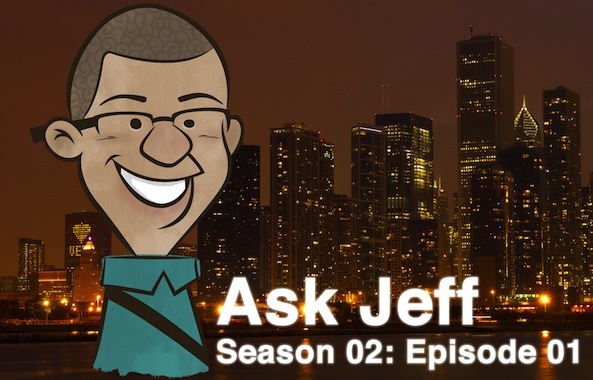 Hey Jeff, I don’t know if you’ll know the answer of my question but, I’m going to ask it anyway. My friend is going to send me an AT$T iPhone 4s but, with the new antenna system, will i be able to use the iPhone 4s on Verizon ? If so﻿ let me know, so i can tell my friend i want it. Is﻿ iDownloadBlog is a group , team or Just You ?? If apple really released a tv, what﻿ top 5 functions are you looking for? how to enable airplay mirroring on﻿ a non-A5 device like the iPhone 4? What inspired your love for Apple﻿ products? 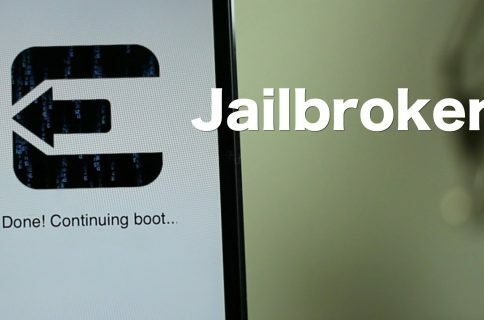 I’m new to jail breaking with my 4S, most of the things that I’ve tweaked on﻿ my phone, and even the jail breaking itself, were done off of iDB’s videos. Keep up the awesome work! Should I buy an iPad or save and put that money towards a sweet apple laptop? I have an android tablet, which I’ve rooted, but am now loading full of kid apps for my son. your house is on fire, what would be the first gadget you get﻿ and escape ? wondering if there is a jailbreak app/tweak for iOS’s photo﻿ stream? Thanks. Hey Jeff! I love your videos but could you please tell me what notification center background you have in your QuickTweet video? Thanks in﻿ advance! Hey Jeff, Will﻿ you guys at iDB be working on an official App Store app for iDownloadBlog? What﻿ is your overall must have tweak? 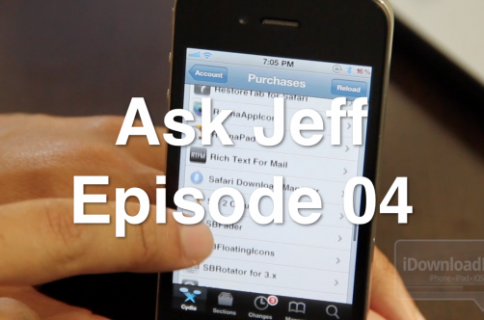 Do﻿ you use screen protector on your iPhone 4S or 4? The screen looks extremely crisp. can you﻿ get banner notification insteed of popup alert on lowbattery warning and those kind of popup alerts? What I wanna know﻿ is how long it takes you to shoot, edit and upload your videos. what can you do with a jailbrocken﻿ apple tv and how? We also want your feedback on this week’s episode, so even if you don’t have a question in need of answering, let me know what you’d like to see, or what I can do better in the comments section. We’re going to do things a bit different this season, as we look to have more interactivity with our wonderful readers. You guys are the best.